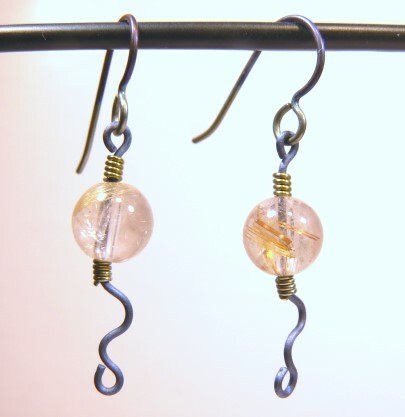 E002: Simple Rutilated Quartz Beads on Titanium Earrings RutileBeads on simple Titanium Earrings with niobium coils. Perfect for the geologist, chemist, or other geek who may get the gag. Simple design and just as amazingly hypoallergenic as are all my earrings.